Nifty PSU Bank index, the largest gainer among sectoral indices, was up 1.5 per cent, as compared to 0.5 per cent rise in Nifty Bank and Nifty Private Bank index. Shares of public sector undertaking (PSU) banks were trading higher by up to 4 per cent on the National Stock Exchange (NSE) in an otherwise range-bound market on Wednesday as both headline inflation and WPI inflation have been falling for the past two months. State Bank of India (SBI), Punjab National Bank (PNB), Indian Bank, Bank of India, Union Bank of India, Syndicate Bank, Indian Overseas Bank and Canara Bank were up in the range of 1 per cent to 4 per cent. At 10:49 am, Nifty PSU Bank index, the largest gainer among sectoral indices, was up 1.5 per cent at 3,197 points. In comparison, the Nifty 50 index was up 0.21 per cent, while Nifty Bank and Nifty Private Bank index were up 0.50 per cent each. “With inflation on a falling trajectory, and the cores of both headline and WPI inflation falling, there are chances market might expect the Reserve Bank of India (RBI) to cut rates in Feb’19. Considering the low IIP growth and the low GDP growth forecast by the government, the RBI may change its stance from “calibrated tightening” to “neutral”, opening up the possibility of a rate cut in future,” an economist at Anand Rathi Shares and Stock Brokers said in a note. Among the individual stocks, PNB was the largest gainer, hitting a four-month high of Rs 85, up 4 per cent on the NSE. The stock was trading at its highest level since September 10, 2018. It has rallied 47 per cent from its September low of Rs 58. 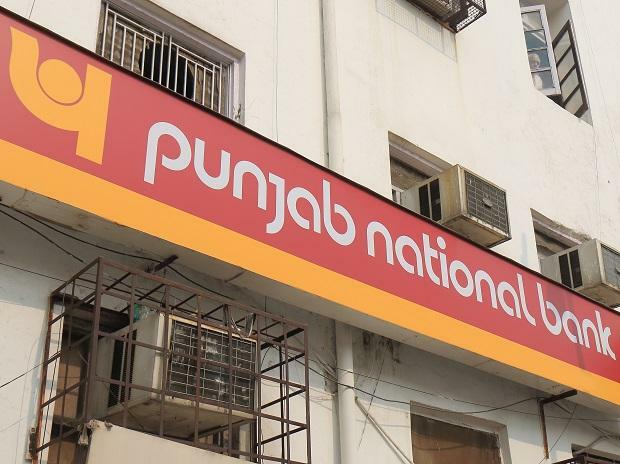 The rating agency CRISIL in December 2018 assigned a 'Stable' outlook on the long-term rating of PNB. CRISIL believes that PNB will continue to benefit from strong Government of India support and maintain its healthy market position and resource profile over the medium term. The 'Stable' outlook also reflects CRISIL's expectations that incremental slippages for the bank will reduce going forward and coupled with healthy recoveries, will help in lowering gross NPA metrics. The outlook may be revised to 'Positive' in the event of higher than expected reduction in slippages and strong improvement in profitability, while the bank grows its loan book. Conversely, the outlook may be revised to 'Negative' in case of continued significant slippages and lower-than-expected recoveries, thereby impacting the bank's asset quality and profitability, it added. Meanwhile, analysts at Prabhudas Lilladher expect PSU banks to see a gradual recovery in operating metrics as they expect loan growth of 7.0 per cent YoY with SBI leading at 9-10 per cent YoY. "The primary reason being higher loan buyouts from NBFCs and lending for liquidity strapped corporates. Although we do not expect large margin improvements, hence, keeping NII growth subdued from growth and is likely to be driven by lower base effects. Importantly, lowered yields should benefit on treasury income and lower MTM on investments and stabilizing asset quality should require lower intensity on NPA provisions. Hence we expect a sharper recovery in earnings of PSBs," the brokerage said in a report.